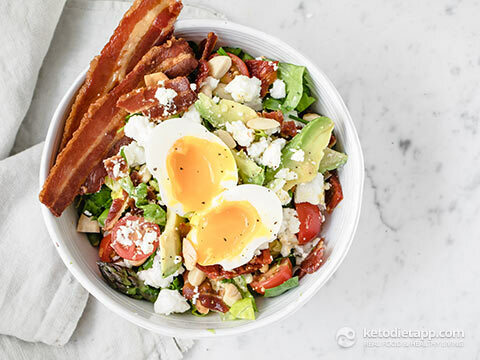 This simple, fresh keto salad takes the American favourite combination of bacon and eggs to a whole new level. 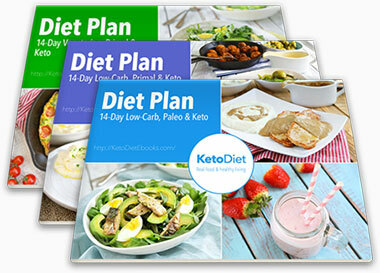 Just one serving is nutritious enough to be part of any keto meal plan that includes intermittent fasting (if you&apos;re eating just twice a day). 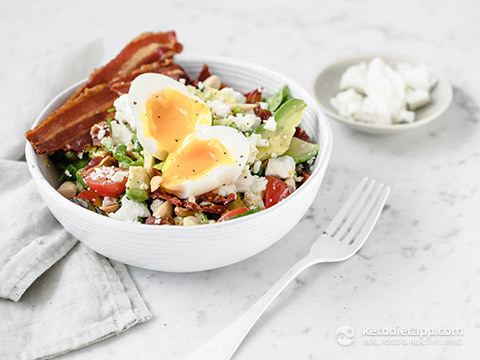 Crispy bacon, the perfect soft boiled egg on a bed of crisp gem lettuce, buttered seasonal asparagus, creamy avocado and topped with salty feta and crunchy toasted almonds. The zingy Dijon dressing pulls the whole dish together into the perfect healthy low-carb lunch. 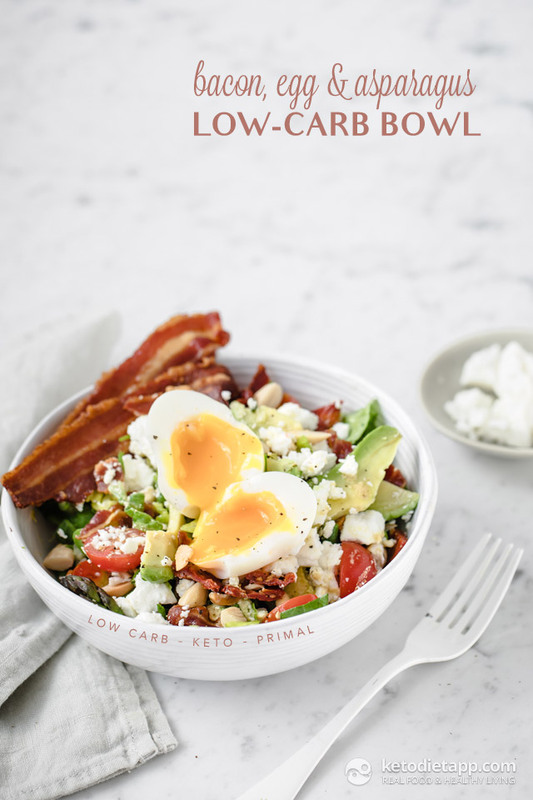 I also love this low carb breakfast bowl with a poached egg. Best served fresh whilst the eggs are still warm and runny but you can also make a hard-boiled egg and pack it into your lunch box for work. 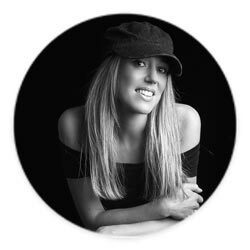 I’d love to hear what you think of this one. Let me know in the comments below. Crisp up the bacon in the oven or in a skillet. Oven is better for large batches. If you&apos;re only cooking 4 slices it&apos;s faster to cook in a lightly greased skillet. 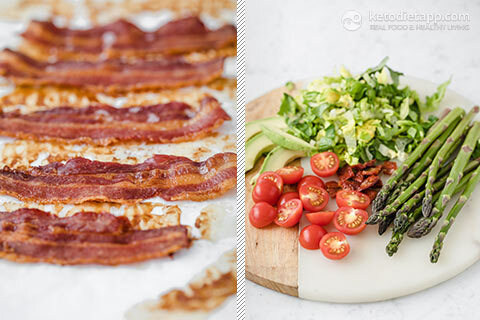 Skillet: In a frying pan, fry the bacon rashers for 2 minutes per side until crisp. I dry fried them but you can add a touch of olive oil or ghee if you prefer to prevent sticking. All depends on your pan. Drain on a sheet of kitchen paper. Oven: Preheat the oven to 190 °C/ 375 °F. Line a baking tray with baking paper. Lay the bacon strips out flat on the baking paper, leaving space so they don&apos;t overlap. Place the tray in the oven and cook for about 10-15 minutes until golden brown. The time depends on the thickness of the bacon slices. When done, remove from the oven and set aside to cool down. Store any leftover bacon in the fridge for up to 4 days. Slice the tomatoes and avocado. Chop the lettuce. 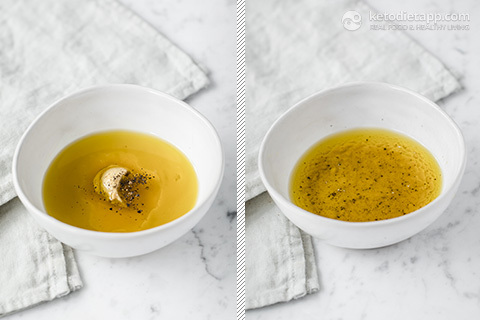 Prepare the dressing my mixing the olive oil, mustard, vinegar, salt and pepper together in a small bowl. Place water in the bottom of a steamer pan. 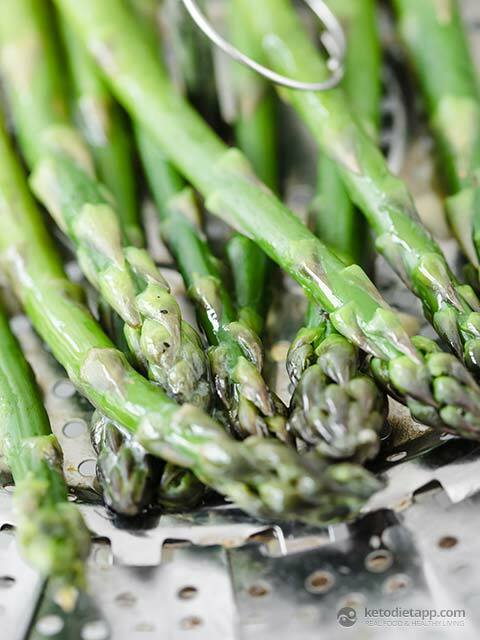 Steam the asparagus for 5 – 8 minutes depending on the thickness of the asparagus until el dente. Remove from the pan, coat in 1 tablespoon of butter and chop into chunks. While the asparagus is cooking, boil the eggs to your liking. 3 minutes for soft boiled up to 10 minutes for hard boiled. Run under cold water before peeling off the shell. Toss the lettuce through the tomatoes, crispy bacon and dressing. Top with boiled egg, feta, avocado, asparagus, chives, and almonds. Best eaten fresh but can be stored in the fridge for a day. Thanks for sharing this great recipe. im going to try it out as soon as possible.